Let’s say the essence of design is to stand out, to be above the crowd. 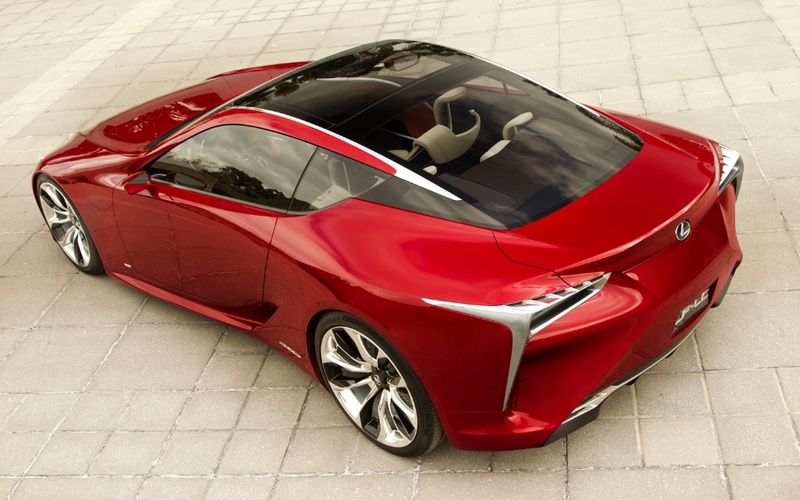 Well, the LC500 (a look-at-me, look-at-me, sort of car) has vaulted high into the dynamic design stratosphere. This car began as a Californian-designed concept from Toyota’s CALTY studio in Newport Beach, and debuted at the NAIAS in Detroit in 2012. 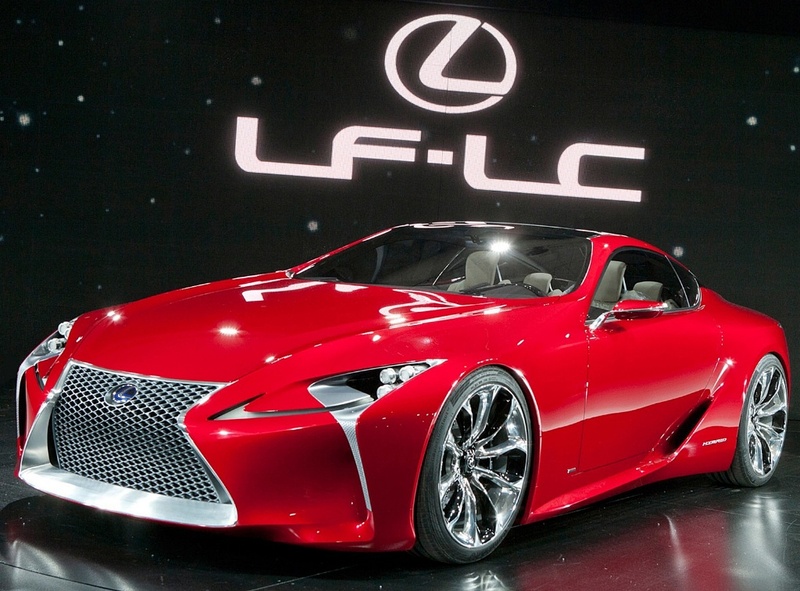 It was intended to breathe new life into the brand, and heaven knows, Lexus needed something. A succession of vanilla sedans, which began in 1989 with the LS 400, ensured most of us felt that ordinary, everyday cars were giving ‘conservative’ a bad name. I think the LF A coupe was a breakaway by some young Toyota tearaways, but I think the LC-LH concept in 2012 shouted that Toyota was prepared to risk its reputation as the ‘Taichou of Hoshu-teki’ and put it out there. In 2015 the job of taking concept car to production car fell to Tadao Mori at Toyota’s Technical Design Centre in Aichi. 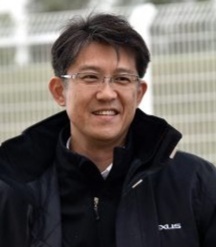 Working alongside Toyota chassis engineer Koji Sato, the two young men have essentially refined the concept into a new global architecture for all Toyota/Lexus front engine-rear drive cars. Sato calls it a mid-engine platform, because the bulk of the weight of the engine sits behind the front axle line, and in addition to balancing the weight distribution this move by itself allowed Mori to ensure the production car looked as much like the concept as possible. There is the expected mix of high tensile materials like high-strength steel; carbon fibre; aluminium and magnesium. Exotic and pricey! 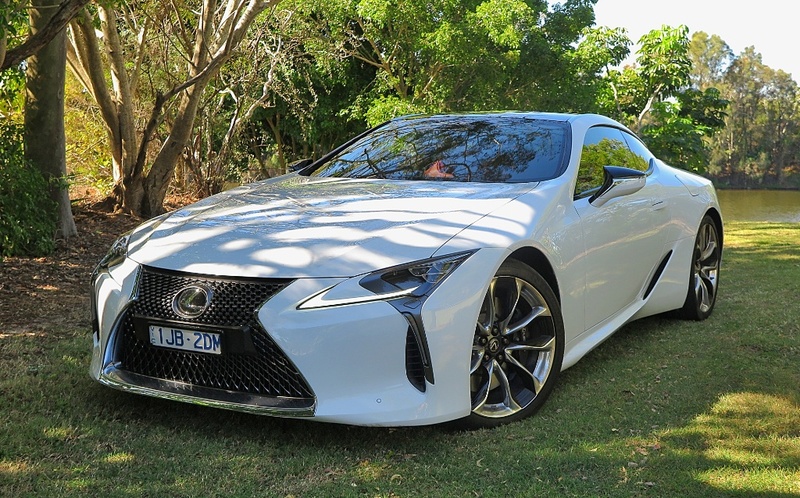 The LC 500 certainly stands out on the road, and in the driveway – even in white! I’m not sure I would say it’s a good-looking car, but It’s certainly different to anything coming out of Europe. The muscular haunches and the broad front section suggest an egg being broken into a frypan – it sort of spreads out across its footprint. Inside, the cabin design is also unique to the brand, and although it features quality materials, fine fit and finish margins and quality components, for me it’s much too ‘bitsy’. Wherever the eye lands, there’s a disjointed vision – nothing looks like a smooth linear flow of lines and surfaces. Also, despite the apparent ‘quality’ of the components the operation of the central command centre is incredibly frustrating and clumsy. 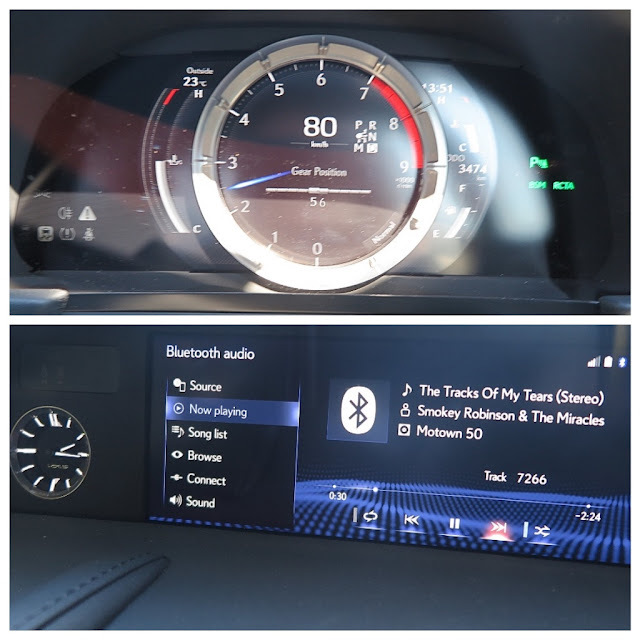 The super-sensitive touchpad and execution button is simply too hard to operate when you’re supposed to be concentrating on driving. The technology too adds another level of exasperation. Try just simply pairing your phone! However, when you press the Start button and blip the throttle, all is forgiven. Just the sound at idle, and the howl as the engine spins up the tacho scale says this is a seriously powerful car. The 5.0L V8 produces 351kW (470hp), and also a suitable ‘bark’ as it snaps through the gears – especially when you have tuned it for showing off, using the mode selector on the left of the instrument binnacle. The 2UR-GSE V8 has been in service with Toyota in various guises, but this latest version produces maximum thrust thanks to dedicated flow-design work on the cylinder heads by Yamaha. Yes, Virginia, it seems like the whole automotive world turns to Yamaha for the finer things in flow design. One of Toyota’s marvels of technology in this coupe is the outstanding 10-speed auto transmission. It’s a torque-convertor type, with some truly inspired design and engineering. 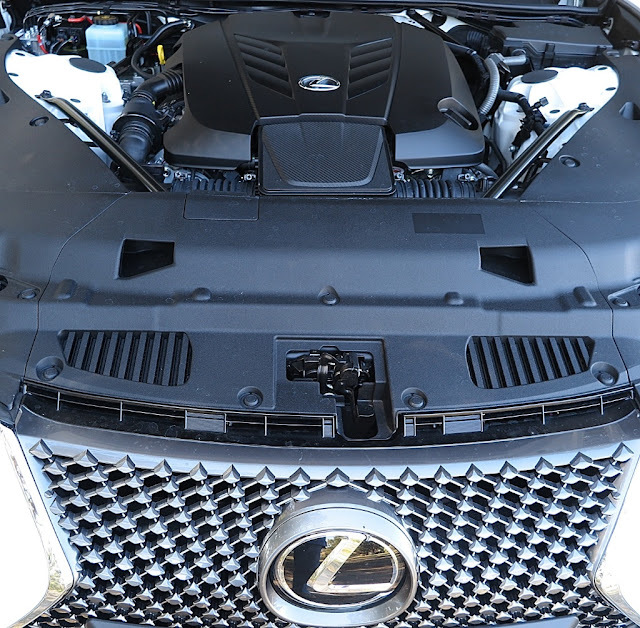 It produces a higher level of smoothness in operation, and I think is probably the car’s most outstanding and noteworthy technical achievement. On the road the weighty coupe (1970kg – 4343lbs) blasts off from the standing start with impressive surge, despite a power-to-weight ratio that the European manufacturers like Jaguar, Aston Martin, AMG and M-Sport would think was far too beefy for a pure performance car. However, the weight, and the massive wheel/tyre combination provides prodigious grip, and allows you to confidently sail into tight corners much too fast for your own good, then save yourself for more fun, by pouring on the lock and pushing the go pedal. 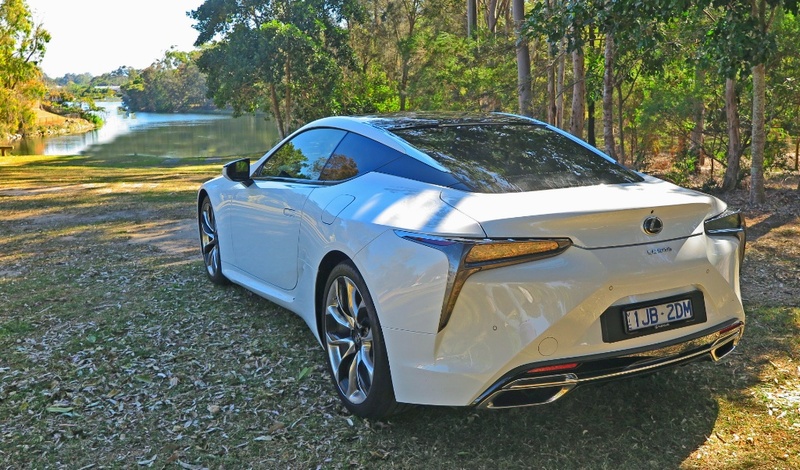 Not only does the LC 500 point with precision, and ooze out of corners with the 10-speeder serving up a beautifully linear flow of oomph, but the steering wheel is a most beautiful piece of design, and great to hold. 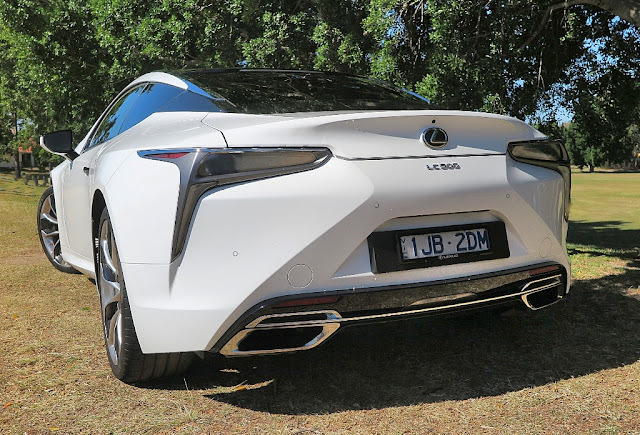 Yes, it was fun to thrash about on the twisty bits, and blast off into the distance with the active exhaust system delivering a symphony of sound, but really it’s not for me – this flashy bit of kit. 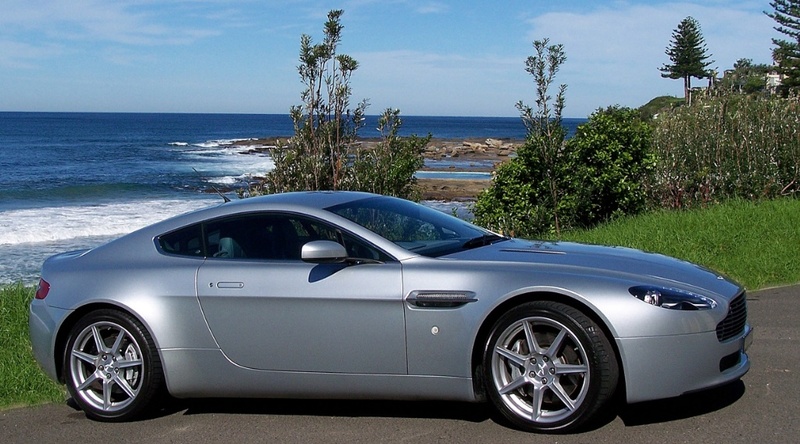 At AUD$192,000 it’s a big pricetag; but if you’ve got the dosh and hanker after some pure performance and refinement, then for my money I’d strongly suggest raiding the bank account for another AUD$23-Grand and plump for an Aston Martin V8 Vantage. 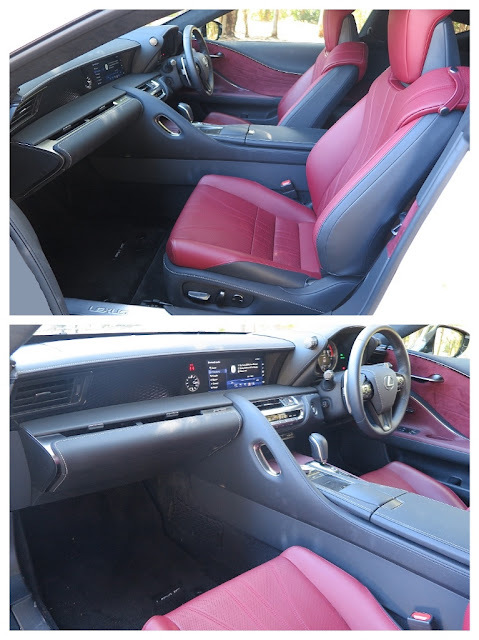 The sad thing for the Japanese pretenders is that the Europeans do it so easily – but then they have had a lot more experience at producing cars which marry performance with panache, and a palpably sophisticated style and execution. 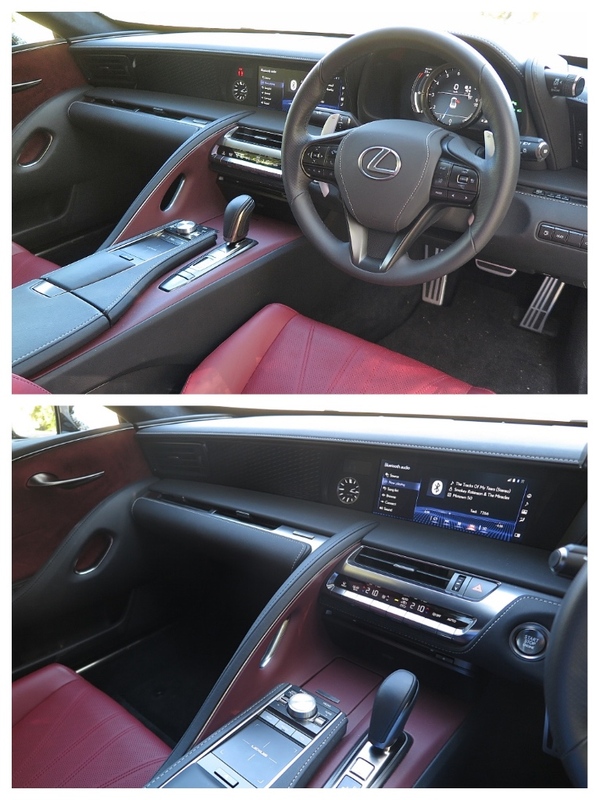 Well I dont know much about cars but Lexus is something which you can resist . wow I just simply fell in love with this white lexus. I wish i can have a test drive some day.